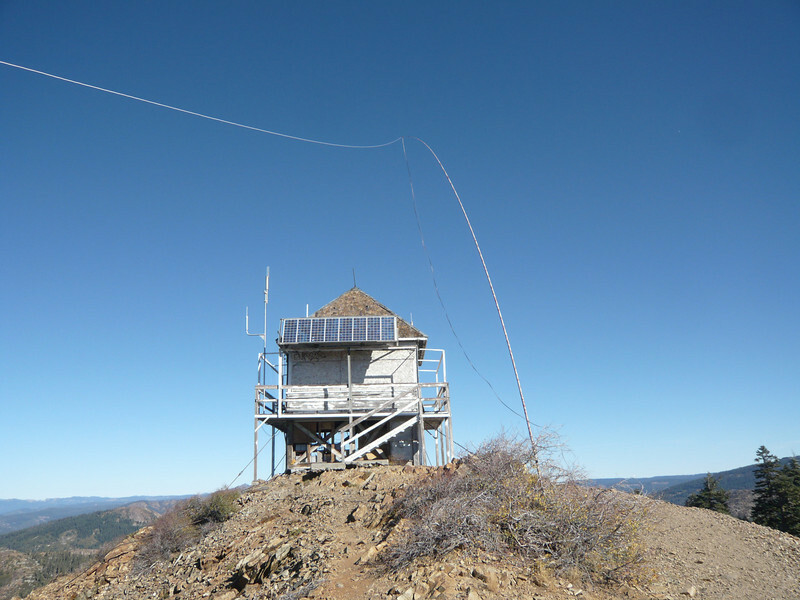 I had planned to setup my 28' Jackite pole mast next to the lookout tower, but the the ridge drops off steeply past the tower and there wouldn't have been room to tie off that end of my 88' doublet. I instead anchored the bottom of the mast in a bush midway down the short ridge top. The camera is looking north.